I made these out of Sculpey Bake and Bend, and by golly, I baked and they bent. They bend like mad. This is now my clay of choice, because kids will be able to play with my minis. As opposed to regular polymer, which snaps in half when handled with any vigor at all. You can’t hand a 2 inch-tall lulav to a kid and ask her to hold it flat in her palm and simply gaze upon it with reverence. These things were meant to be played with, and now, they can be. P.S. The etrog pitom is a piece of broom straw colored with a Sharpie. 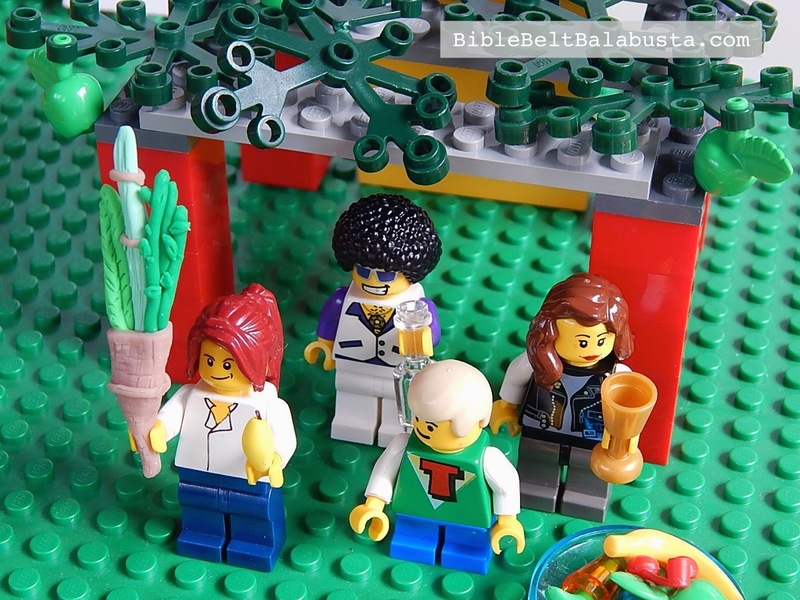 * Kid-built mini sukkahs (LEGO, Lincoln Log, etc.). 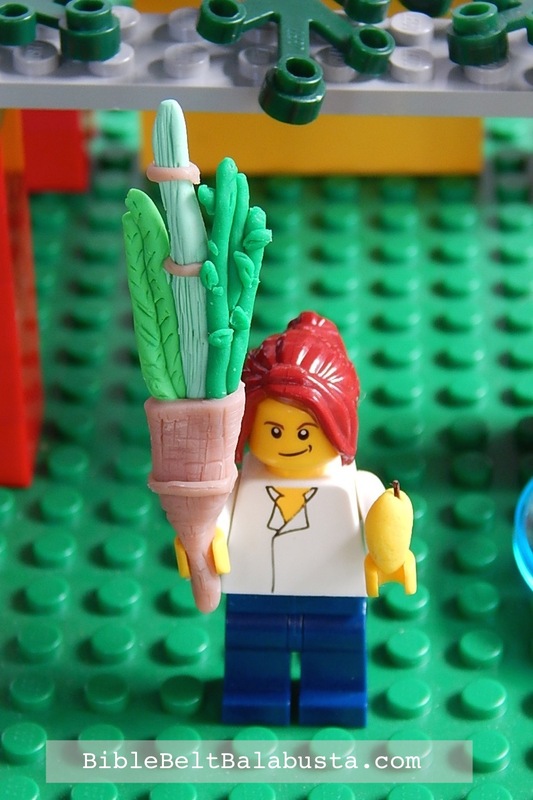 This entry was posted in Crafts, Sukkot and tagged etrog, Lego, lulav, polymer clay, sukkah. Bookmark the permalink. You MADE THAT!? WOW, great job! You should sell them because I’m not sure how many of us have your skill at creating that tiny masterpiece. I did make the teeny lulav/etrog, and thank you!